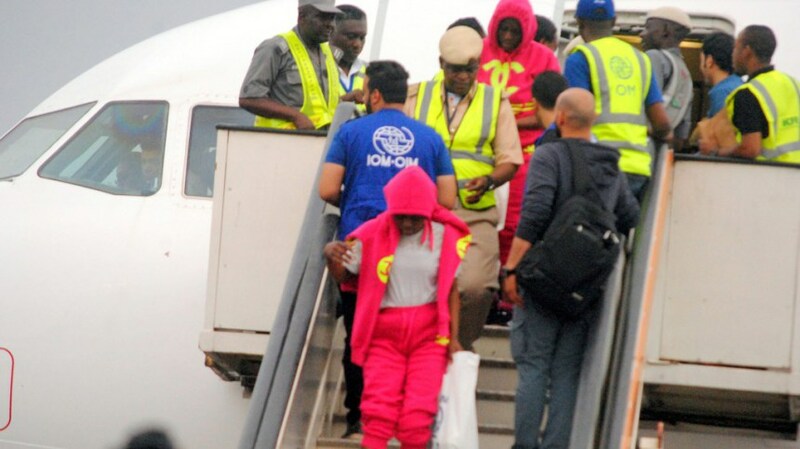 The International Organisation for Migration (IOM) and the European Union (EU) on Thursday facilitated the return of 249 more Nigerians from Libya. Newsmen report that the returnees arrived at the Murtala Muhammed International Airport, Lagos at about 9.47pm aboard an Afriqiyah Airbus A330-300 with Registration Number 5A-ONR. They were received by the Director General of the National Emergency Management Agency (NEMA), Alhaji Mustapha Maihajja. Maihajja, who was represented by the South West Zonal Coordinator of NEMA, Alhaji Suleiman Yakubu, implored the returnees to be champions of positive change by supporting the campaign against irregular migration. He said they should be able to enlighten other Nigerian youths on the dangers of seeking greener pastures outside the country through illegal means based on their experiences in Libya.